The theatre of the journey is further enhanced with a choice of luxurious vehicles to suit your individual desires. Finished in two-tone silver and sable, the coachwork houses a luxurious air conditioned hand-made interior, finished in shining walnut and sumptuous burgundy leather. Beneath the bonnet is a powerful 4.88-litre six cylinder engine, with twin SU carburettors, driving a four-speed transmission. The Bentley is fitted with an expansive sunroof, providing a scintillating travel experience and romantic photographic opportunities. The beautiful Silver Shadow is finished in cool pewter green with all the shining chrome trim that you’d expect from a Rolls Royce. With CD and high fidelity sound, the distinctive grill and ‘Flying Lady’ emblem make a grand statement when driving through the region. Inside, the green leather seats (with arm rests) and carpeting are complemented by classic light walnut finish. Electric windows and air conditioning add an impressive touch of luxury. Under the bonnet, a 6.75 litre V8 engine purrs as it delivers power to 3-speed automatic transmission. Rolls Royce reached a new plateau of luxurious ride with the successful suspension design for the Silver Shadow II series. Whisper quiet and pillow soft, the ride has been likened to cruising in your favourite leather armchair. The luxury continues with our silver blue Lexus LX470 which has the status as one of the “strongest, yet most luxurious off road explorers and on road tourers on the planet”. From her wood-grain and leather-clad steering wheel to her finely polished wooden panelling she is a perfect complement to the classic cars in our fleet. Your comfort is equally met with spacious leather hide seating and dual air conditioning systems with individual settings for cockpit and cabin. 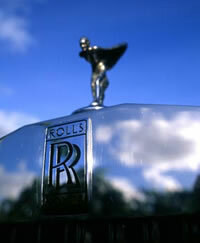 You are also ensured of unparalleled smoothness and quietness, as is the trademark of our Bentley and Rolls Royce. It has the luxury and comfort of our other classic cars, but we have added it to our fleet to satisfy the whims of our adventurous clients. The immensely spacious LX470 comfortably accommodates 7 passengers.